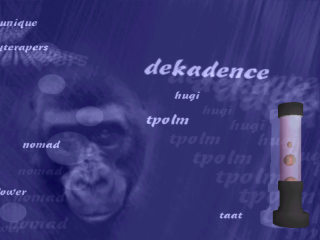 "The Blue Moment" is amuQ creations' contribution to the PC demo competition at the Mekka & Symposium 2001 demo party held in Fallingbostel, Germany from the 13th April to the 14th April of 2001. Where to get "The Blue Moment"
The history of "The Blue Moment"
The Blue Moment has a very long history, longer than any other demo we made. At the beginning, we planned to do a demo for the Assembly 2000. As every time, we had trouble finding a story to tell. We somehow found one, but as time approached we left that path more and more and turned the demo into a design demo with nice design effects. At the same point, the lazy one made a complete rewrite of the DSYS2 engine (including the 3D engine and all the other stuff), which got mostly completed some days before the Assembly. Unfortunately, as we noticed too late, there were problems with 3D accelerators which do Transform and Lightening in hardware (namely, a Geforce 256). As we discovered that, there were only a few days left until the deadline, and the lazy one's civil service job began (he was not at the party this year). We still managed to fix the problems until the deadline, but the demo was not looking very well and was not in any way syncronized to the music. And, after all, we finished it after the deadline. So we didn't really released it there, as the version we send right in time (which of course was not working too well) was disqualified. 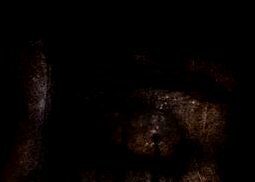 Actually, we planned to make a final version somewhen shortly after the party and to release it then. Unfortunately (due to global lazyness), this did not happend until in early 2001, as vulc made a remix in short time for the Mekanisaatio 2001 demoparty in Finland. Then, we planned to make a demo for the Mekka & Symposium 2001, which would be held at Easter Weekend in 2001. At first, we wanted to make a new demo, but we ran out of time (again) and the lazy one was rewriting the 3D engine again because a special scene was not possible with the old one. So we decided to remake The Blue Moment again. Actually, traze and the lazy one started to remake the demo at the partyplace itself. This time the demo was looking good, and the new music was syncronized. This time, the demo features a sound track by Quasian (we took some quite old modules from him, which seemed to fittet best to the demo). Finally, three or four hours we assembled the demo after getting some last changes from vulc and uploaded it. The demo compo itself was not that a success for us. There were 27 entries (! ), which all were shown at the bigscreen. The compo itself took part for over two hours, and our demo was shown quite at the beginning. Actually, this probably caused that most people had forgot the content of our (and the other) demos at the beginning which had no spectacular parts in it... This is bad luck, since we did not thought the demo to be that bad ;-) After all, we did not even enter the Top 10. The story board of "The Blue Moment"
In the first scene, you are floating above a see towards an island with some trees on it, and a girl sitting in front of one tree. 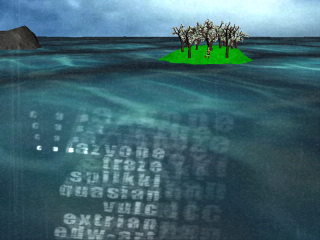 In the foreground, the amuQ logo, the title and the credits are shown. 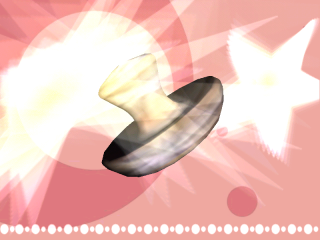 After that, you can see on the screen a strange object rotating around with a shadow which later starts to live itself. There are also some stars moving around the screen. Finally, the screen blurs up to a blue color, which changes into the next scene. 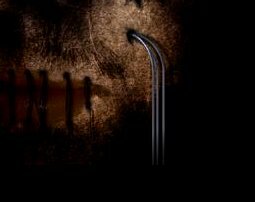 In the next scene, you can see an abstract tunnel in the background, and another tunnel in a small window at the left-bottom corner of the screen. Later, another window fades in at the top-right screen corner, where you can see the same tunnel in the background at another position in time. 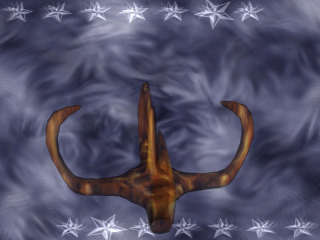 The next effect shows a morphing object (which somehow does not morphs in the party version, don't know why ;-)) with some stars and other sprites moving around. In the next scene, you can see some morphing 3D meta blobs with a nice texture. In the background, there is a snow particle effect, together with some lens flares. The next scene contains lots of wrieframed tetrahedrons. In the foreground, you see some nice sprite effects. The next scene is a more complex one. 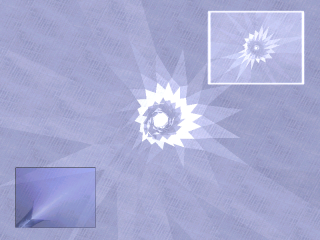 You see three times three windows with a little different "egg" animation in each, which pulse in and out. In the foreground, there is a nice picture of Toni bouncing up and down and a strange poem scrolling from right to left. For the next scene, a new part of the music starts. The next scene is a smooth (in terms of visual appearance and not of performance :-) ) misty mountain scene with some trees and a building. 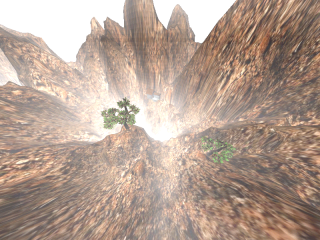 You fly around in different views, and a poem is shown splitted to several parts. 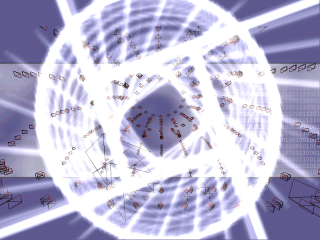 The next part shows a poem scrolling on the right, with some spinning sprites on the left and a very fast spinning 3D object on a changing background, creating a quite interesting effect. In the greetings part, you see a lava lamp on the bottom-right of the screen, and lots of greetings texts scrolling around on the screen with radial blur effects. 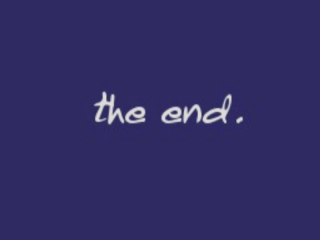 After that, a "The End" screen appears, which is in fact not the end of the demo — as you can see in the next part. We added this part at the party place just for fun as it began to snow outside the partyplace. 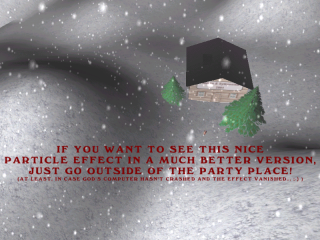 We took mainly the last scene from our "Xmas 2k" demo and modified the text.